When Versant Ventures and Bayer announced the formation of BlueRock Therapeutics, a $225M investment in Ontario innovation, Dr. Gordon Keller was at the forefront. Keller and Dr. Michael Laflamme are leading one of BlueRock’s two platforms, which uses stem cells for heart repair, as it develops into a viable business model and moves closer to the clinic. 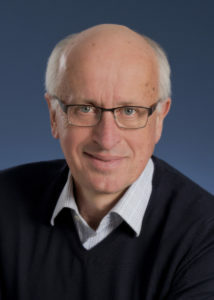 Trained in Alberta, Keller has had a celebrated international career as one of the pioneers in the regenerative medicine space for his research on lineage specific differentiation. In 2007, he left his prestigious position in New York and moved his family to Ontario in order to take the role as director of the McEwan Centre for Regenerative Medicine, part of UHN. “I saw that there were great opportunities in Canada and I thought it was a very rich scientific community where one could advance the field of stem cell biology. This move has led to one of the province’s biggest success stories in the regenerative space and one which earned he and Laflamme the 2017 UHN Inventor of the Year Award. Keller had developed a protocol to create heart cells in the lab, these cells function similar to those cells found in the human heart, even having a synchronized beating rhythm. This work helped to better the understanding of heart development, but there wasn’t a way to determine their efficacy in the treatment of disease. At the time, there was not a strong experimental cardiac transplant program at UHN and Keller pushed to bring Laflamme, an expert in this area who trained under Dr. Charles Murry in Washington, to Toronto. Laflamme saw the potential for these cells to be used as a therapeutic and with their combined drive and expertise, have refined this work towards a cell based therapy. Enter, BlueRock Therapeutics in 2016, for which Keller is the scientific founder and Lafamme a founding investigator. With Bluerock they are now working to commercialize their therapy, a huge boon to the Ontario regenerative medicine field. For patients, this could have significant impacts on the ability to recover from a heart attack, which would in turn have a dramatic impact on the additional healthcare costs the province pays for continued care of those living with heart disease. Pluripotent stem cells hold great promise for the future and OIRM is proud to be playing a continued role in moving this project closer to patients. “It’s about creating new cell types in a petri dish to repair human organs” say Keller, in this case its about repair of the human heart but these cells hold potential to treat numerous other diseases. For more information on this project check out our research profile on Dr. Michael Laflamme.